There were several domestic chapels which figure in the history of the Catholic families in north Lancashire. One important set of records still to consult was that produced in 1717 of 'non-jurors', that is, those who refused to swear the oath of allegiance. The oath would have made them deny their faith and carried penalties such as fines or sequestration of property. 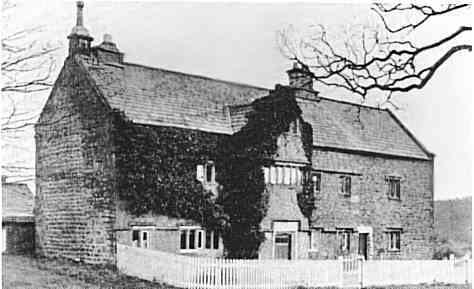 Park Hall, Quernmore - a mission centre which in 1717 had as tenant a Mrs Walmsley, widow for the second time. She had two sons, among many other children by her first marriage, who were joint tenants, Richard and Thomas Taylor. Richard lived with his family at Aldcliffe and Thomas became a priest, serving at Thurnham Hall. All these were listed as non-jurors in 1717. It is mentioned by the diarist Thomas Tyldesley on 25 Jun 1713. Scale Hall - the Balls are said to have lived here at Skerton before 1717. Dolphin Lee (or Dolphinlee) - This house which was in Bulk was occupied at first by the Copelands who were for a long time stewards to the Daltons of Thurnham Hall for their estates in Bulk, Aldcliffe and what is now Lancaster. Until the repeal of Hardwick's Marriage Act of 1754, that is, about 1837, Catholics like all nonconformists (only Jews and Quakers being excepted) were legally bound to marry in the parish church. They often had a marriage in their own chapel, sometimes referred to as a 'blessing'. Quite a number of poorer people did not bother with the official ceremony but if there was property involved this was risky as their children were officially illegitimate and barred from any inheritance. "Went with Mrs to Booke to pray* and home to dinr." Because the saying of Mass was forbidden by law it was referred to for safety simply as 'prayers'. 'dinr is of course an abbreviation of 'dinner'. "Mrs" was his wife who had a town house in Lancaster and "Booke" was Bulk, the farmhouse at Dolphin Lee by the Lune. Dolphin Lee (or Dolphinlee, or various other spellings) was in Bulk. It was occupied at first by the Copelands who were for a long time stewards to the Daltons of Thurnham Hall for their estates in Bulk, Aldcliffe and other villages now also swallowed up by Lancaster. Bulk is in a fold of the hill where the River Lune turns to wind its way round the north of Lancaster to the sea. Most of Bulk is now covered by the housing estates of Ridge, and modern communications, not least the M6 motorway, have opened up the area so that it is difficult to imagine how hidden it must once have been. During the 17th and 18th centuries the private chapel at Dophinlee was open to the Catholics of Bulk who were by law obliged to attend the parish church for worship. William Ball and his wife Cecily were fined £60 each for this 'offence' in 1682*. In the earlier years priests were executed if caught and those who harboured them also faced severe penalties. Secrecy was therefore of vital importance. It is said that there was a hiding place for priests there, though this can no longer be verified as the house was demolished in the early 20th century. My photo of this lintel was taken by kind permission of Lancaster Record Office with permission to reproduce it solely for my ongoing family newsletter. This is quite understandable in view of the fact that 99% of this page when last updated in 2005,, has since been reproduced online elsewhere word for word without authorisation or acknowledgement. - a common courtesy - thus destroying ts authenticity. The studies in these web pages are the fruit of 30 years of research and a thorough knowledge of both the physical and religious background. Further details are always available here. Dolphinlee was visited by a party of teachers in 1909 who left a description of it. Perhaps the photo, printed by Billington & Brownbill in the History of St Peter's, Lancaster, (Sands & Co. 1910) dates from this visit. The only trace of it now is in the name of a small bridge over the canal. The history of the Ball family is divided into two parts, both being closely associated with Dolphinlee - perhaps at the same time, with one family in each of the two parts of the house. the possible ancestors of John and Jane Ball of Rossall, beginning with George? another Lancaster family, William Ball who had a son and a grandson both named Marmaduke Ball. The second shrink, with a clear line of descent and related to the Cornthwaites, must be cousins of the first if not direct descendants. The families overlap in the 18th century with those in Part I even if they can't be identified with them. Baptisms : There was no law requiring baptism in the parish church though in parts of the country where there were no priests for many years this was the usual practice. Lancashire was an exception, with its enormous number of 'safe' houses with domestic chapels but there are no records of Catholic baptisms until the late 18th century. Sometimes none were kept, or - perhaps being kept in a priest's small personal notebook - did not survive.. The earlier parish records only give the father's name and the same names recur in every generation! Unfortunately many of the early records from Lancaster do not give any names other than that of the child or person being baptised, making them impossible to identify without other sources. Otherwise Catholic records give more details than the parish records, adding the mother's maiden name, whether either parent is Catholic or not, and giving the names of the godparents who are often other family members. In the area where the Balls lived, from the Lune valley (Lonsdale) to the coast the following Catholic records are relevant, with their earliest dates: Lancaster 1784, Thurnham 1785, Robert Hall 1757 (with gaps), Hornby 1762. Marriages: From 1754 to 1837 Hardwick's Marriage Act made it obligatory for all couples (except Jews and Quakers) to marry in the parish church. Most Catholic couples probably conformed, often marrying by licence (to avoid attending for the reading of the banns) but records of marriages in general are incomplete. Deaths: Catholic records are usually of deaths, not burials as in the parish church records. Burials were generally in the parish graveyard and only a few Catholic chapels had graveyards of their own - usually for lack of suitable land - when it was possible or safe enough. Later, where the local vicars were tolerant, a part of the graveyard was often set aside for Catholics. Ages are not given in burial records until well into the 19th century, though the age and the father's name may be given in the case of a child. The following tree of the generations from John and Jane Ball onwards is also included in the Ball Family Part 2.